We are a small family farm in an urban farming district of Phoenix, Arizona. We specialize in the breed improvement of Nigerian Dwarf goats. We provide the sale of goat kids (does, bucks, and wethers) as well as stud service on location. 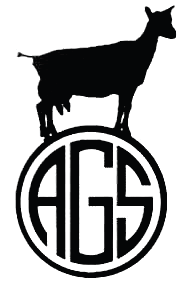 Due to our interest in breed improvement, our entire herd is registered with AGS and ADGA, and have champion and Superior Genetics (SG) bloodlines with excellent milk ratings (milk stars). We also are beginning the process of milk and genetics testing to continually make improvements. Our herd is always kept up-to-date on CD/T and worming prevention, and was tested free of CAE, CL, and Johne's disease as of July 2018. We provide our goats with a specialized diet of fresh pasture, alfalfa hay, organic whole grains in proportion to need (size, gestation, lactation, etc. ), and supplements (minerals, kelp, selenium, and copper). They also receive organic kitchen scraps and supplemental herbs. Our goats are from a mix of Champion (MCH/ARMCH/PMCH), Superior Genetics (SG), and milk star (*M, ++*S, etc.) lines. They are from both docile/bottle-fed and strong/hearty genes, providing a very nice genetic blend of goat- they are very sweet, very strong, great milkers, and excellent show quality. Many of our goats are genetically polled (Pp). We spend a good deal of time with the goats, so they are very friendly with both adults and children. We aim to provide excellent care and husbandry for our goats, and to provide high-quality dairy goats to the community, for companionship, milk, and show. We provide stud service for $200 per doe ($100 for each additional doe from same herd); we only request written evidence of CAE, CL, and Johne's Disease clearance (for our herd's protection and yours), as well as proof of bloodline (registration from any organization) for the protection of the breed. We provide high-quality dwarf goats for companionship, milk, and show only; if you find you can no longer care for your goat from us, we will happily purchase them back to prevent their becoming a meat animal.